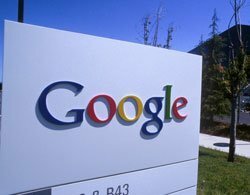 Google has introduced a new Google Earth tool to allow businesses to upload, process and store geospatial data in the cloud. Cloud-based Google Earth Builder adds to Google Earth Enterprise, which includes Google Maps tools. Sanjay Patel, head of Geo Enterprise for EMEA at Google, said: "Google Earth Builder is a mapping platform in the cloud. When the entire catalogue of data is in the cloud, we have the ready-made tools to easily help users create map layers and publish that to Google Earth or Maps." Previously, Google Earth Enterprise required companies to download the service to use offline or behind a secure firewall. By storing the geospatial data in the cloud, Patel says Google Earth Builder can reduce organisations' overheads and improve the security of data. "Aerial imagery can be terabytes in size and difficult to process. Upgrading on-premise, as well as the management of, geospatial data is costly and tedious and requires dedicated administration staff." Energy company Ergon Energy is already using the new tool. James Bangay, programme director at Ergon Energy, says the platform provides "performance, scalability, flexibility, visualisation richness, and seamless device-to-platform interoperability." Businesses such as property website RightMove and car breakdown service firm the AA, use the Google Maps API and business intelligence tools to layer their own location information over Google maps. Google Earth Builder will be available by the end of August 2011. Pricing details have not yet been confirmed. See how Islington Council uses Google Earth Enterprise here.